The groundbreaking ceremony for the mixed-use project The Woodleigh Residences and The Woodleigh Mall was held on March 28. 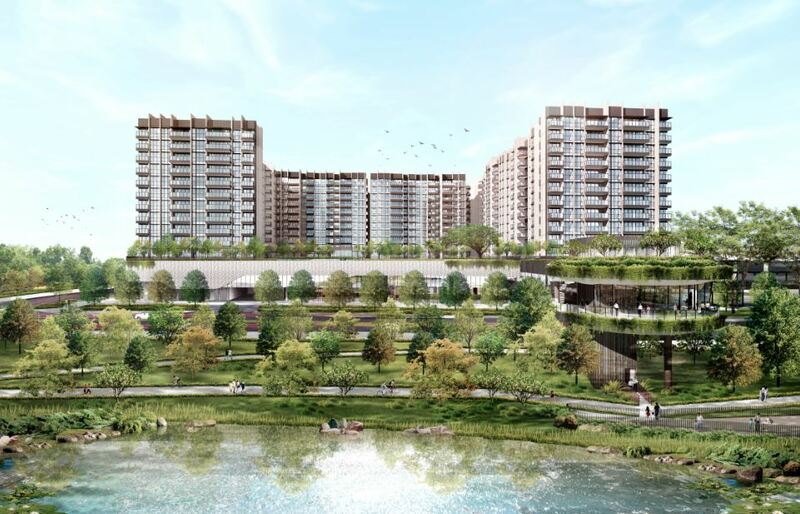 Located in Bidadari, the project comprises 680 residential units, a retail mall with 301,392 sq ft of gross floor area (GFA), a 64,584 sq ft community club and a 23,681 sq ft police centre. The project, which marks the partners’ first joint venture, is slated for completion in 2H2022. The JV partners paid $1,132 million, or $1,181 psf per plot ratio (ppr), for the 99-year leasehold site in a state tender in June 2017.